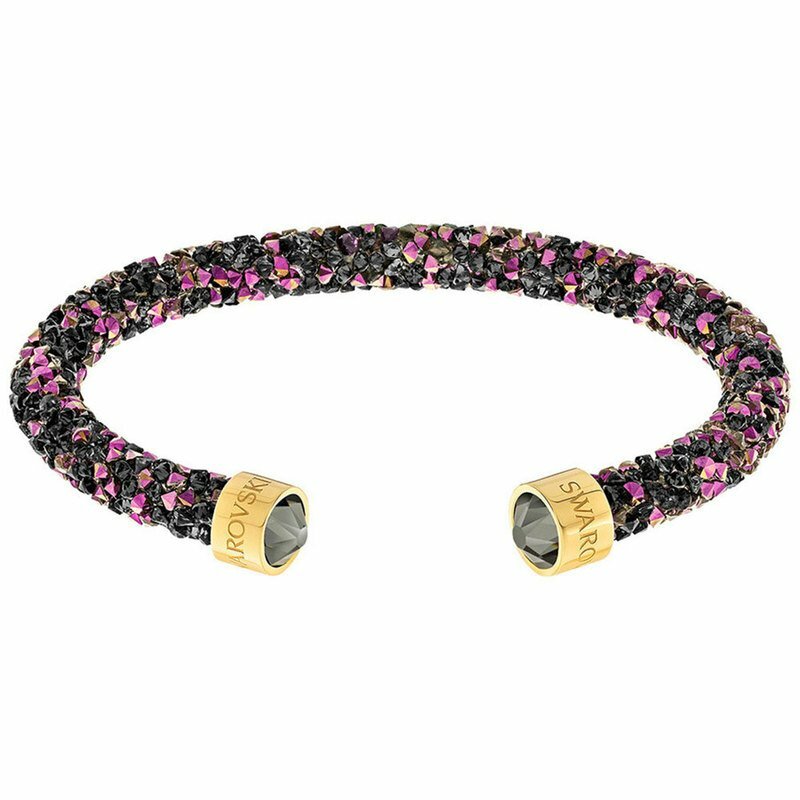 Ride the banglemania trend with this gorgeous new edition of our popular Crystaldust Cuff now available in this exclusive and easy-to-combine black and pink edition. Crafted using our Crystal Rocks technique, it is lavishly encrusted with a huge amount of crystals to make an unparalleled sparkling statement. Its open-shank silhouette is comfortable to wear, while the end caps embellished with crystals finish its clean design perfectly. Stack with other bracelets for an up-to-the-minute look.